The wreck and sinking of the steamship Princess Sophia exactly a century ago has been called Alaska’s worst maritime tragedy. 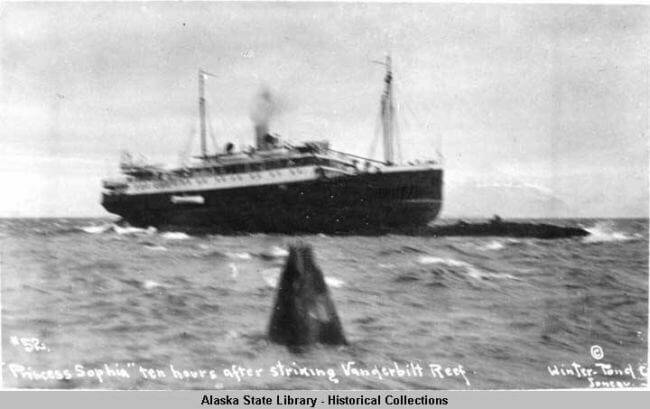 As many as 353 passengers and crew died after the ship grounded on Vanderbilt Reef north of Juneau on Oct. 23, 1918, and then sank 40 hours later in stormy weather. Only an oil-soaked dog survived and managed to swim to shore. Although the sinking happened near Juneau, it was not a uniquely Alaskan tragedy.